Immersive display. Immaculate performance.Discover precision performance on this 34" curved USB-C monitor that elevates your work and entertainment. 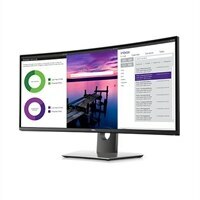 Dell UltraSharp 34 Curved USB-C Monitor: U3419WImmersive display. Immaculate performance. Discover precision performance on this 34" curved USB-C monitor that elevates your work and entertainment.